catTHIS is a technology company that focuses on a transformation program to make the earth a greener place to live in. The emergence of a paperless society throughout the world makes it more important for catTHIS to build an online management platform for eCatalogs and tremendously bringing down worldwide numbers of physically printed catalogs. catTHIS is an Online Catalog Management Platform that gives everyone the ability to upload and share PDF Catalogs anywhere and from any devices. Sharing of catalogs are easily done via iMessage, WhatsApp, WeChat, Line, and many other chat apps, or by simply showing unique QR Code of each catalog. Everyone who saves your catalog will be updated to the latest version whenever you make changes to the catalog. It comes with various analytical information that will help you in your marketing efforts. It’s absolutely FREE-OF-CHARGE. It is suitable for every organization, individual or home businesses, products, and services. It is also the ultimate platform for those who are promoting products and services in social media or online shopping platforms. It also enables a special feature to allow users to embed catTHIS Catalogs to individual websites. With catTHIS, you can save catalogs and organize them into unlimited folders that you may want to create, and you will be able to re-share saved catalogs to anyone. 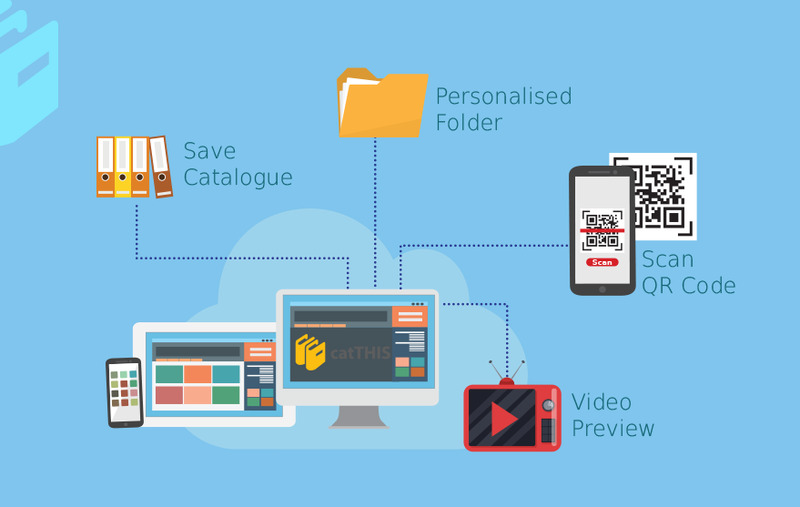 With the combination of Web-Based & Phone App, users can easily save any online Catalog by scanning unique catTHIS Catalog QR Code, be it printed on a name card, product displayed at a showroom or exhibition, or for many other applications. Unique QR code for each Catalog can also be shown via catTHIS phone apps simply with just one touch. catTHIS Online Catalog Management System is a “Transformation Program” to enable the worldwide community to push for a Greener Earth, with the demands for those who are seeking to digitize every catalog with easy remote management and tracking ability, and for those who would like to keep their saved catalogs all in one place and retrieve them wherever they are.